For hundreds of years, adventurers and pleasure seekers – such as, Lord Byron, Henry Miller, Jacques Cousteau — have gravitated to Greece to stimulate their passions, enlighten the soul and simply for sensual relaxation. Now it is your turn to experience Greece’s enduring allure. There are a dazzling array of destinations within Greece. Visit our Greece Geography page to discover a region that appeals to you. The Aegean Team lives in Greece and travels extensively throughout the country. We deeply know the terrain. We are eager to assist you to create your dream vacation in Greece. Tap our unique knowledge! Creating a tour from scratch is our forté. To organize your specialized tour we need to know your travel dates, number in your party and your interests. As experts in specialty travel in Greece, the Aegean Team has designed tantalizing itineraries with features you would likely not encounter on your own or often not even in a guide book. Our set itineraries have themes: history, culture, culinary & wine, spiritual journeys. Leisure itineraries are designed for individuals, couples and small groups up to eight persons who engage a Driver-Guide or go Self-Guided. 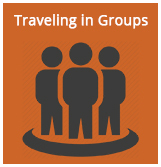 See Groups page for parties greater than eight persons. You chose your own dates of travel.